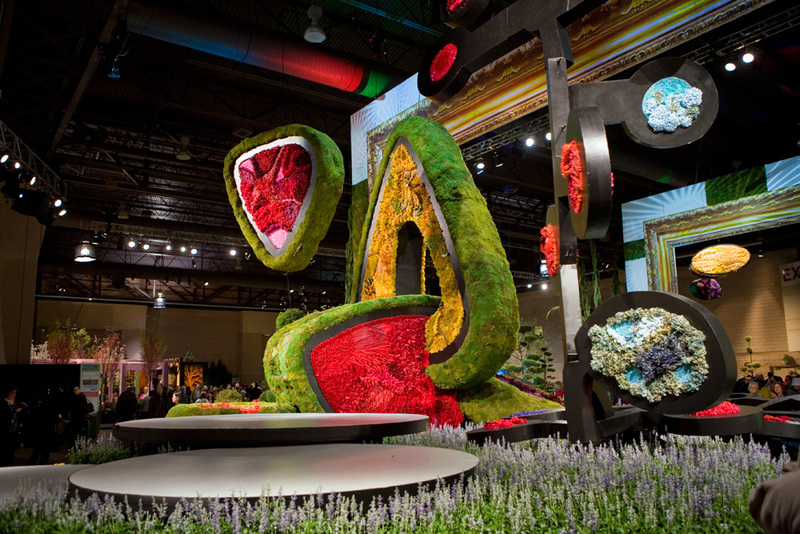 With a list of partners including everyone from the Barnes and the Brandywine to the Smithsonian and Guggenheim, as well as prints from Andy Warhol’s Flowers series on loan, the Pennsylvania Horticultural Society went all out for art with Articulture, this year’s installation of the Philadelphia Flower Show. 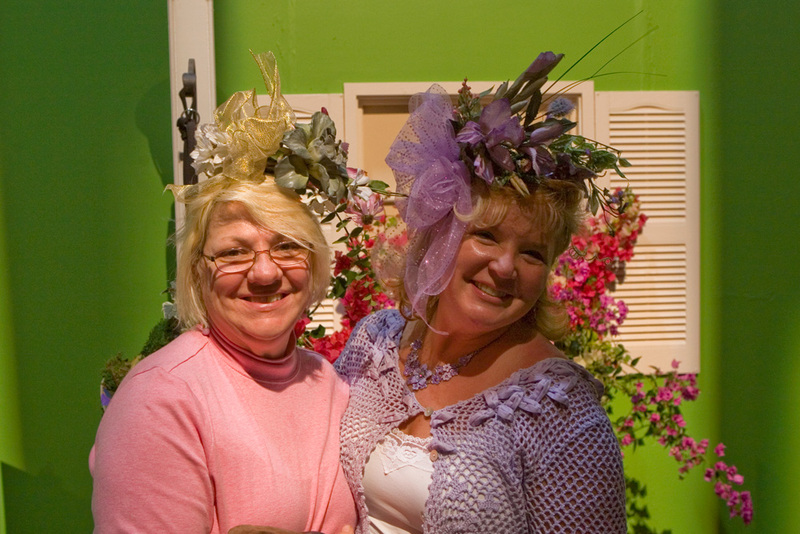 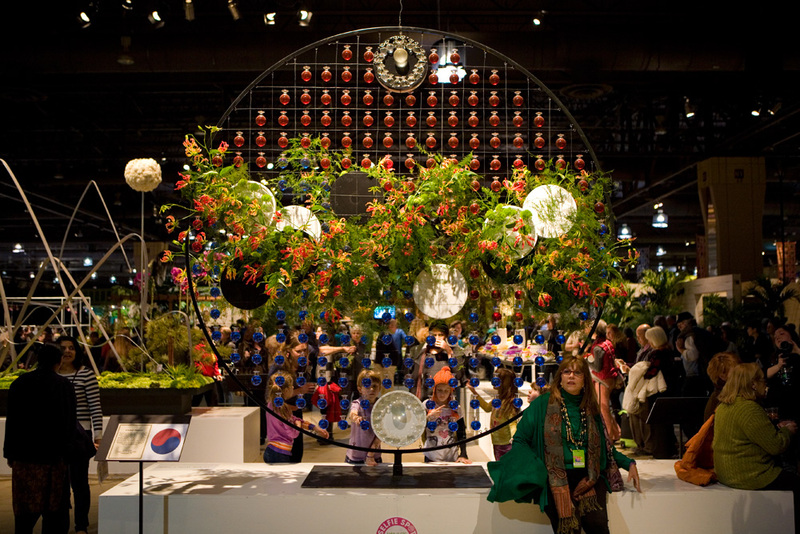 The museums partnered with florists, designers, and landscapers to craft a weeklong museum within the Convention Center. 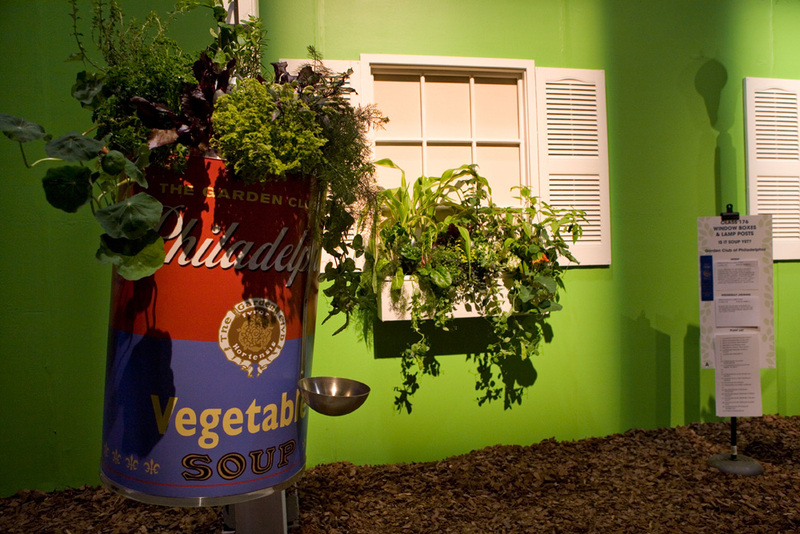 Or rather, in PHS parlance, a popup museum. 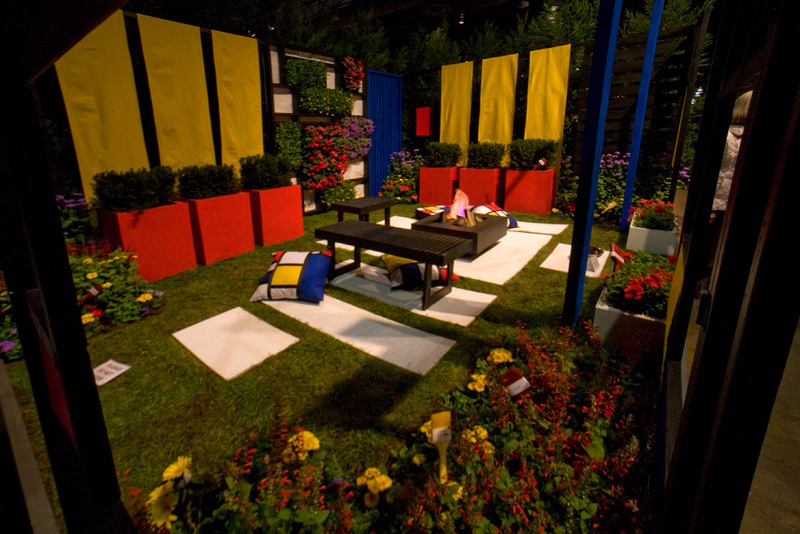 Using flowers, sod, grass, reeds and other natural materials, the museums and designers built sets and gardens modeled on the art of Piet Mondrian, Christo and Jeanne-Claude, and native son Sandy Calder, and specific works like American Gothic, Campbell’s Soup Cans, and Sam Shaw’s photos of Marilyn Monroe in the white dress on the subway grate. 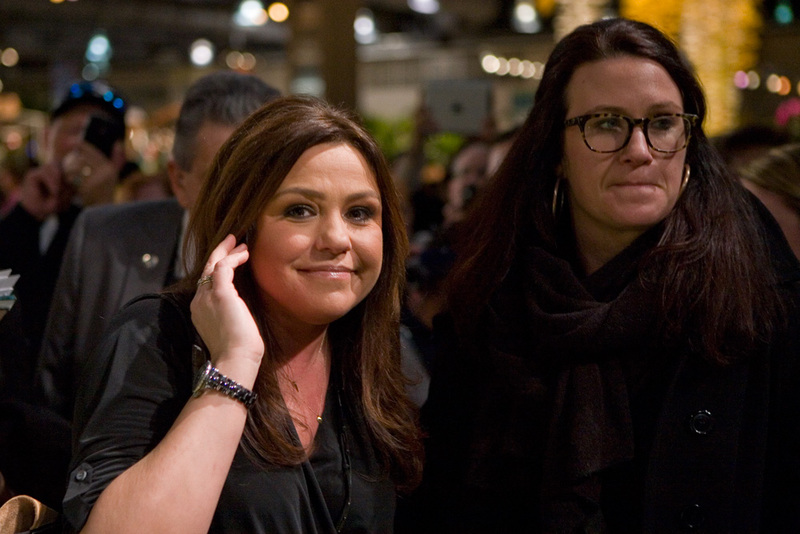 TV food person Rachael Ray even stopped by for a chat with 6ABC’s Melissa Magee, in which she heaped praise on Zahav restaurant—”everything’s so good and so healthy that I can eat like a horse”—and name dropped Serpico, Baker Street Bread, Barbuzzo, “and that whole 13th Street scene.” Sadly, these photos are not scratch-and-sniff, which would have been awesome because the best thing about the Flower Show, after the scotch, is the smell. 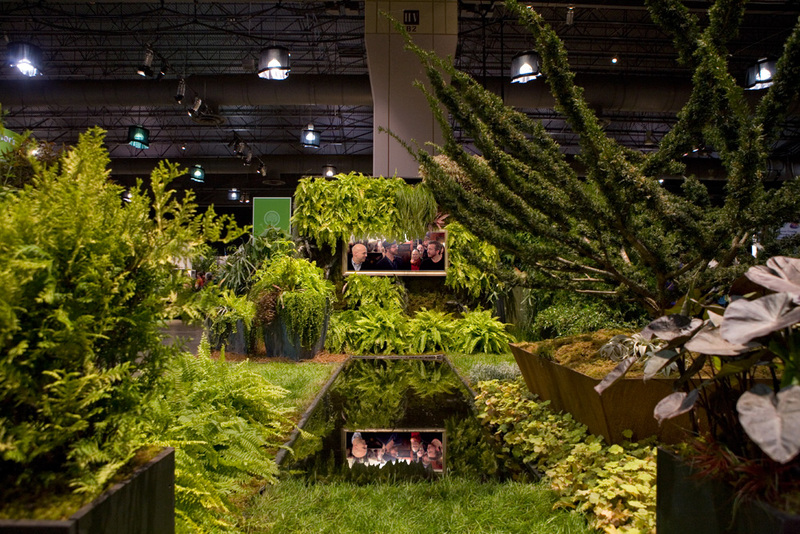 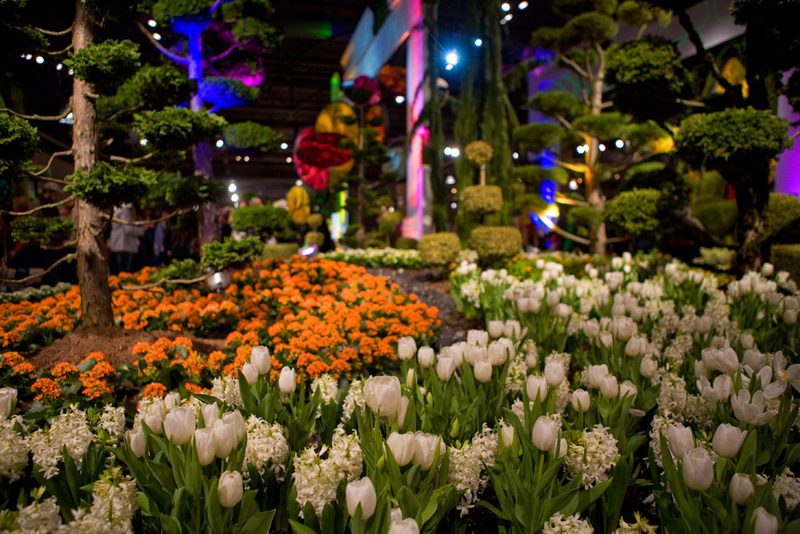 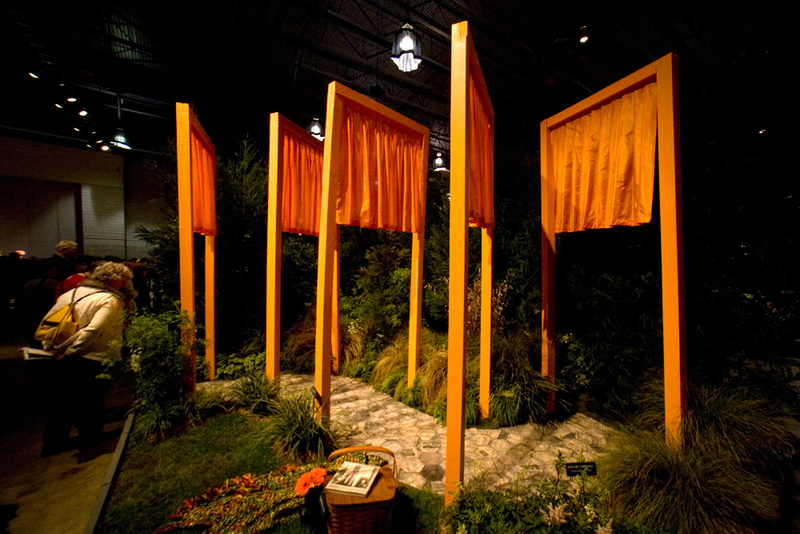 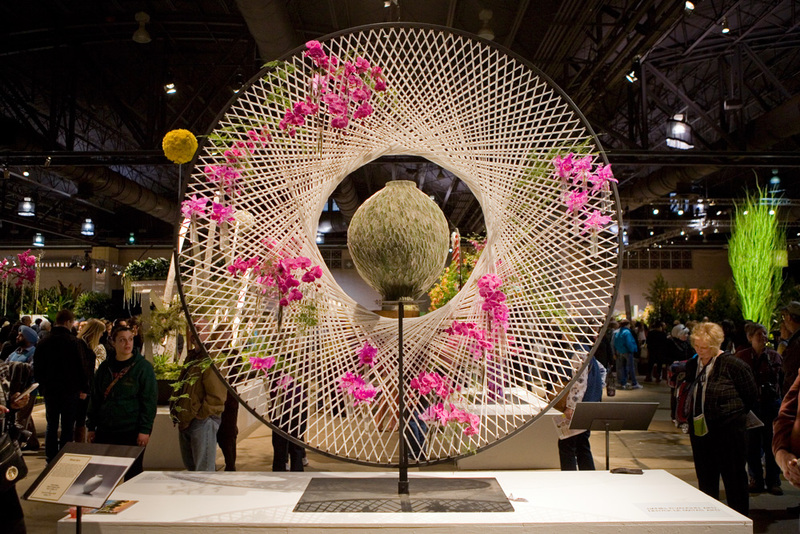 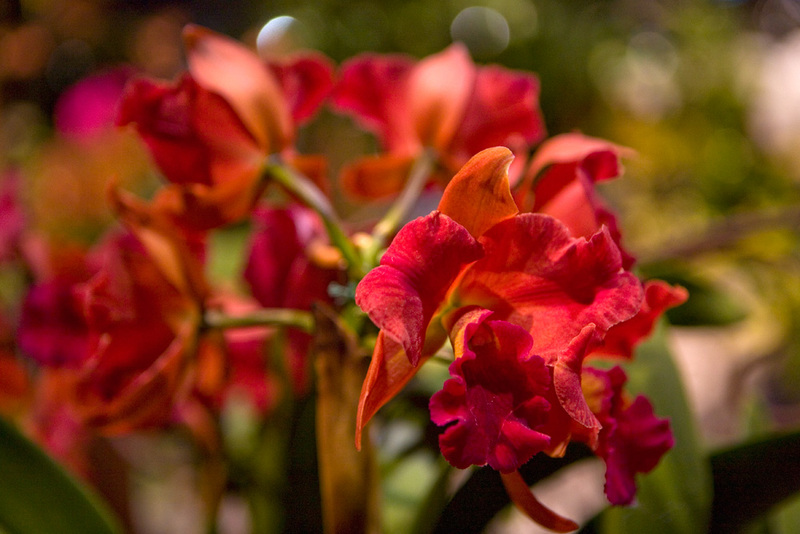 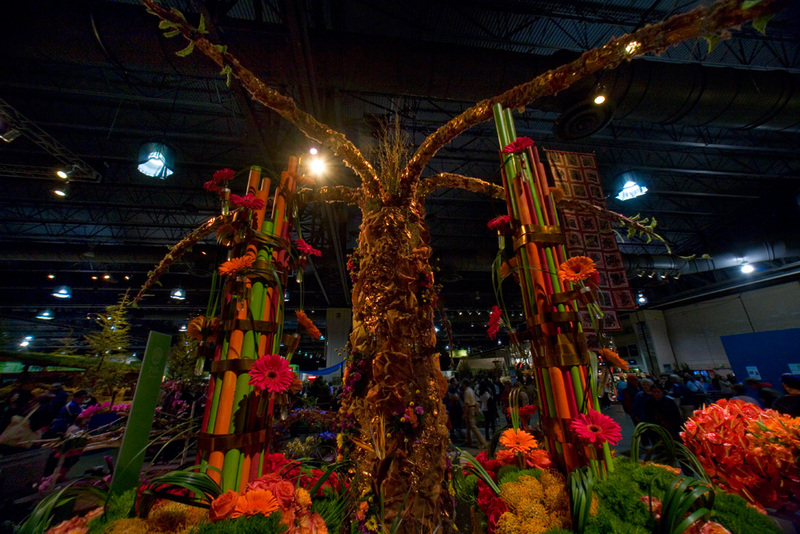 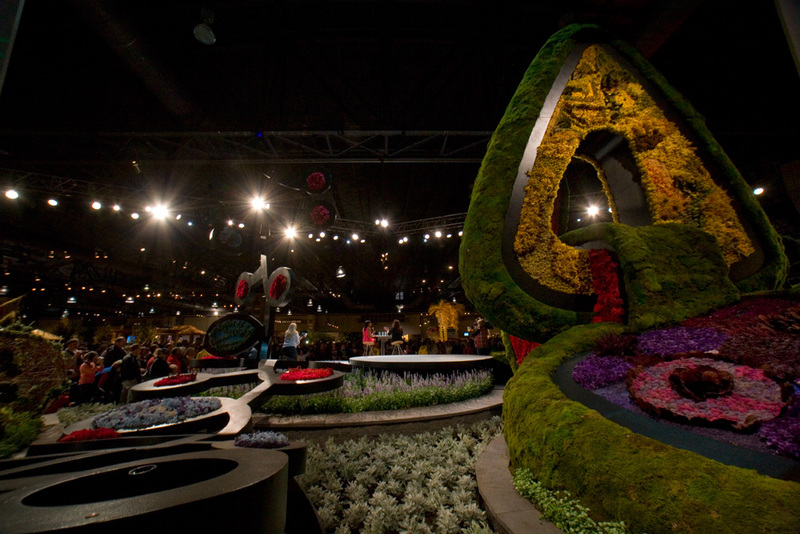 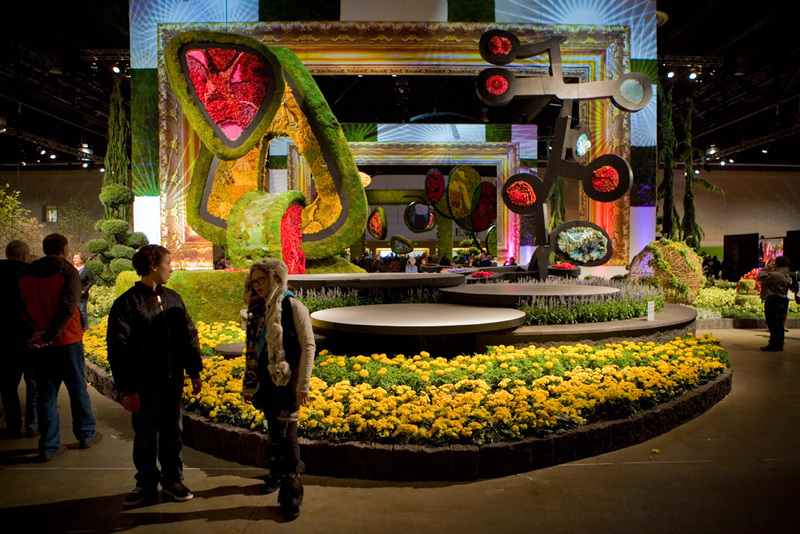 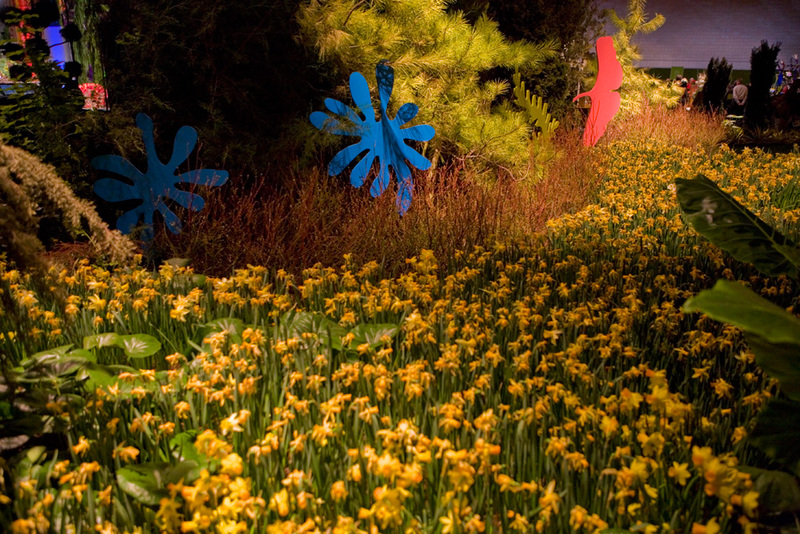 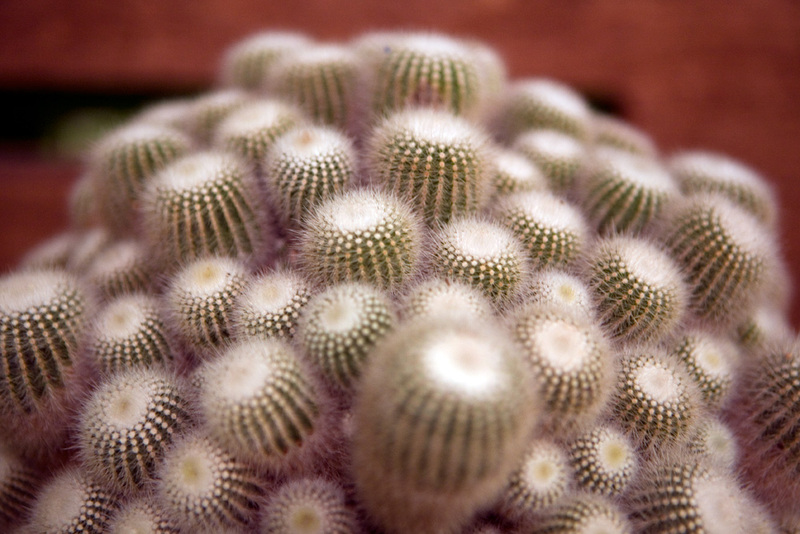 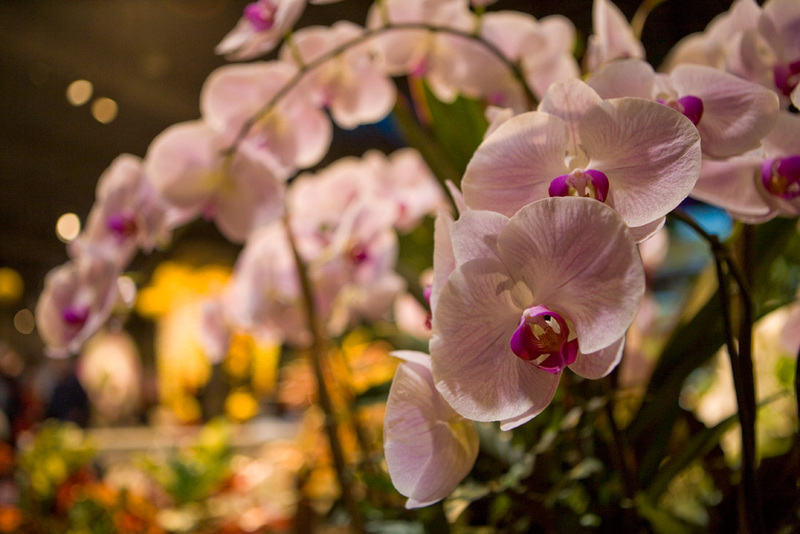 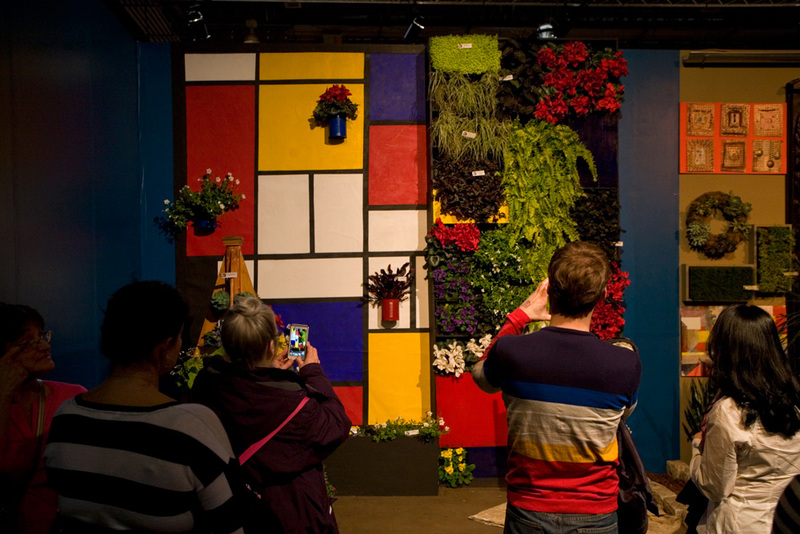 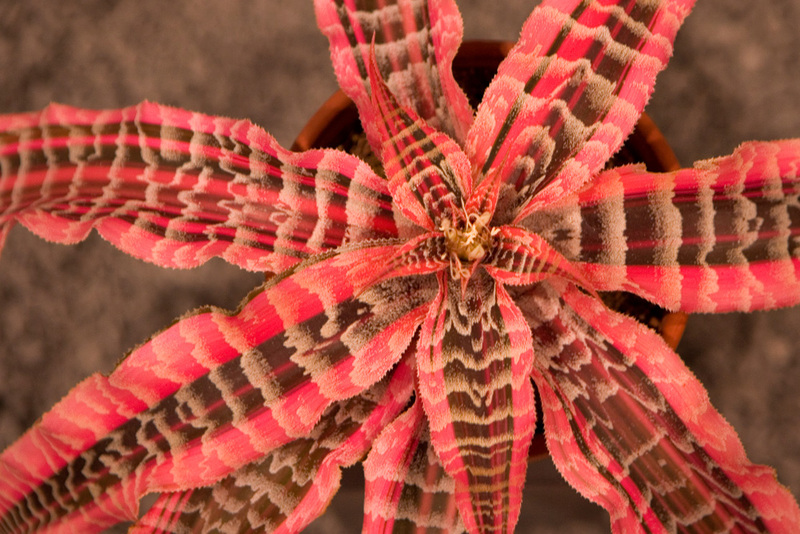 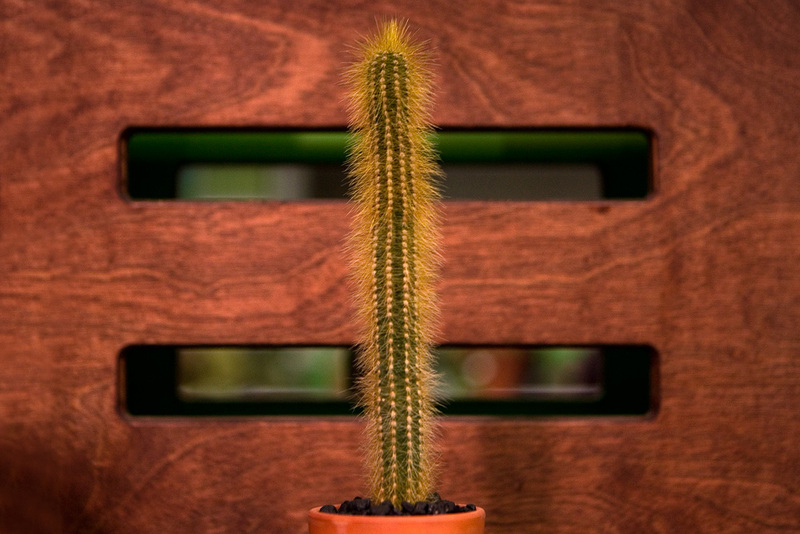 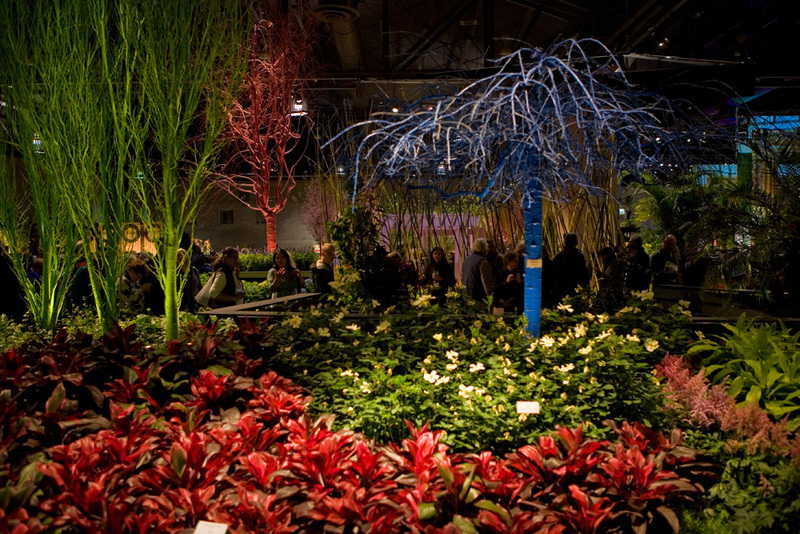 Click any of the photos below to launch a gallery from the 2014 Philadelphia Flower Show. 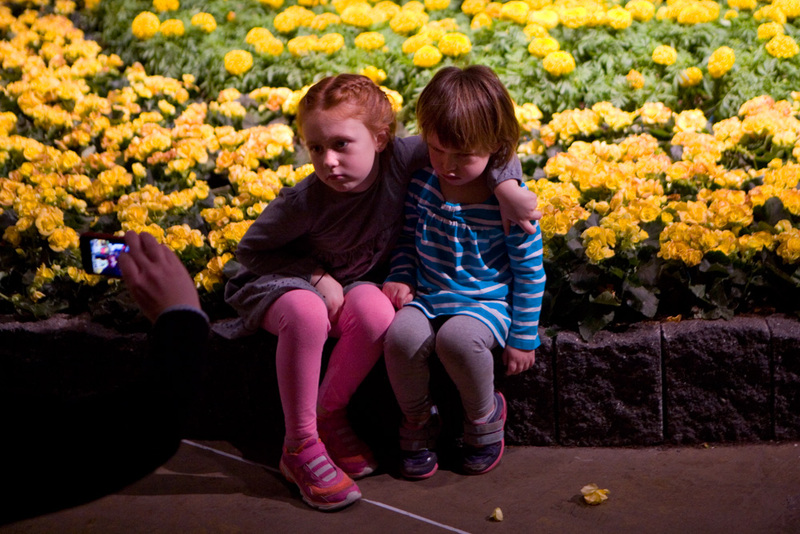 Who let those bums into shot 12?